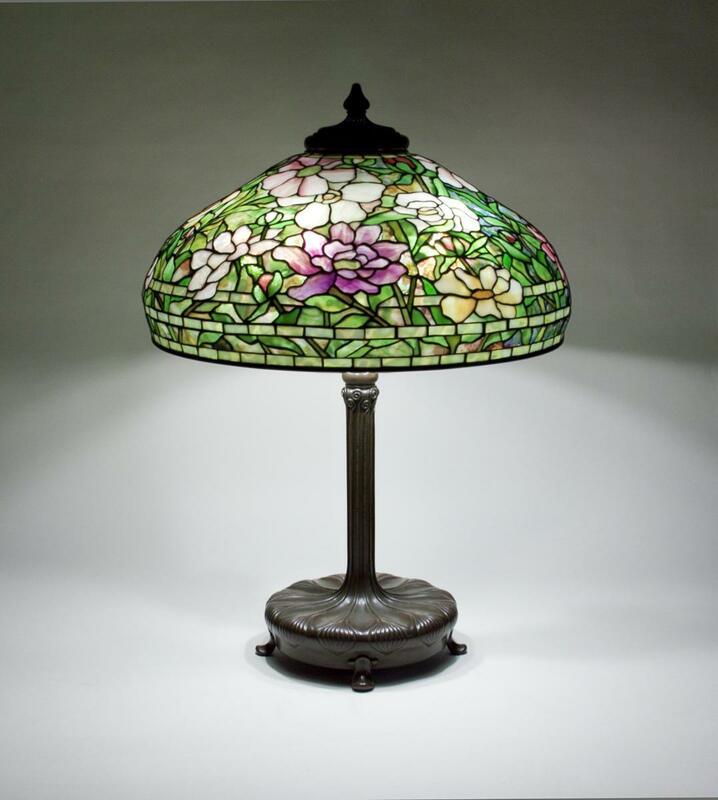 A Tiffany Studios leaded glass and bronze table lamp comprising a Peony design shade, featuring richly colored pink and white tulips against a glass background featuring confetti glass, on a bronze "Decorated Cushion" table base, the leading and bronze finish in a rich brown patina. 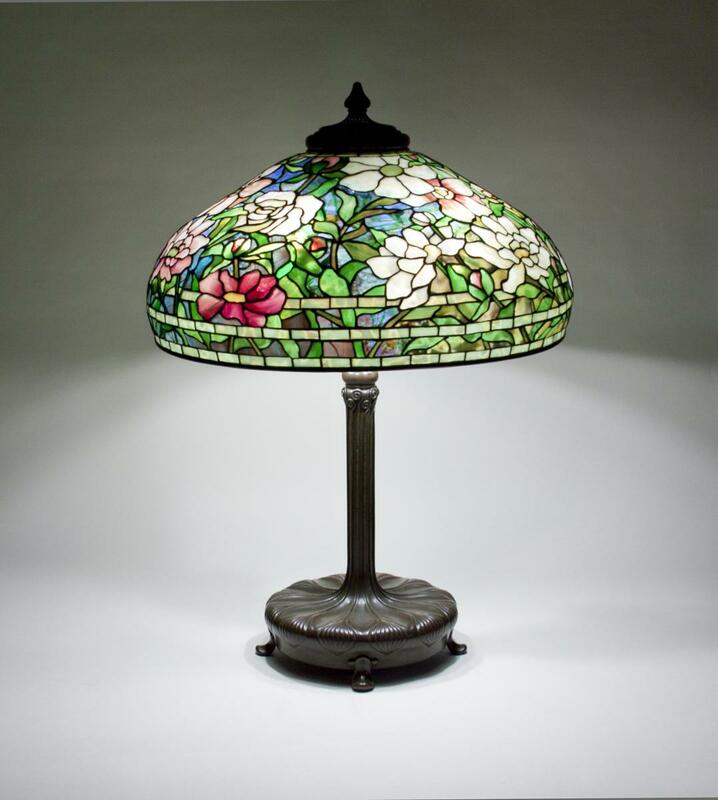 This Tiffany lamp has an original bronze reticulated heat cap in matching finish. 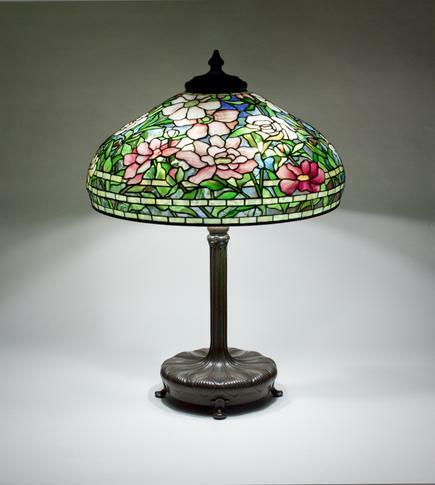 Both the shade and the base are signed. A Tiffany Studios leaded glass and bronze table lamp comprising a "Peony" design shade, featuring richly colored pink and white tulips against a glass background featuring confetti glass, on a bronze "Decorated Cushion" table base, the leading and bronze finish in a rich brown patina. This Tiffany lamp has an original bronze reticulated heat cap in matching finish. Both the shade and the base are signed.